Scientists have discovered what they're calling a penguin supercolony — more than 1.5 million penguins — that had been hiding in plain sight from humans. The massive penguin home came as a surprise to many scientists, who believed that Adélie penguin numbers were swiftly declining. But a new paper shows that penguin numbers in a rocky, remote chain of islands off Antarctica's northern tip are higher than they ever knew. For 40 years, the penguins had evaded human detection. That's largely because the islands are incredibly remote and inaccessible — even during the summer months, nearby ice makes it difficult for boats to make their way to shore. But scientists studying satellite photos of the area back in 2014 noticed what they thought could be penguins. The images showed huge streaks of guano stains, the marks left behind from penguin poo. 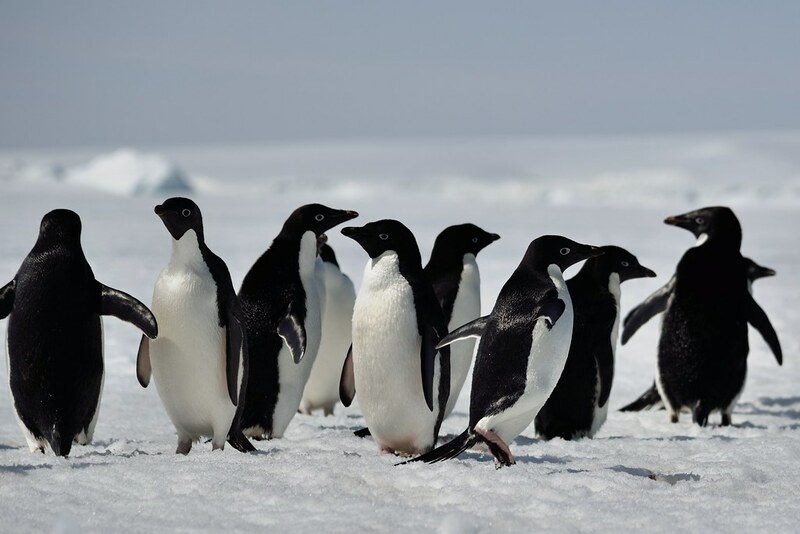 The stains usually indicate a penguin colony, but researchers were shocked at how big of an area these stains covered and didn't want to make any assumptions. Intrigued, they waited until the warmer months of 2015 and went to investigate. Sure enough, a massive penguin supercolony made their home on the Danger Islands. The colony was so big that researchers were overwhelmed with the task of counting them all. They turned to drones to capture bird's-eye views of the islands and were shocked to clock 751,527 pairs of Adelie penguins. That means that the islands are home to at least 1.5 million of the animal, and that doesn't even include the single penguins or the chicks. It's great news for the penguin researchers who had worried that Adélie populations were in trouble. With the Danger Island penguins tallied, scientists now believe that more than 4.5 million breeding pairs of Adélie penguins are out there. Armed with this new data, they're hoping the Adélie studies can help them learn why these animals were able to thrive and hopefully better protect the Antarctic animals that are feeling the effects of climate change.